Home ♦ Race ♦ Toyota Engineers Enter Ojibwe Rally! Toyota Engineers Enter Ojibwe Rally! The Toyota Techncial Cneter Rally Team (TTCRT) drove their 2016 Corolla iM to a 3rd place finish at the 2016 Ojibwe Forest Rally. The team is made up entire of Toyota employees and associates(not sure what that means) and they plan to compete at LSPR this October! Say hi to them at Parc Expose and cheer for them during the rally. Its so cool when companies let employees build a race team to learn through. Here’s the full press release covering all the details. Detroit Lakes, Minn. (Aug. 30, 2016) — Engineers from Toyota’s North American R&D headquarters in Michigan took to the Minnesota wilderness last weekend in a nearly-stock Corolla iM, and they left having earned their first-ever podium finish. 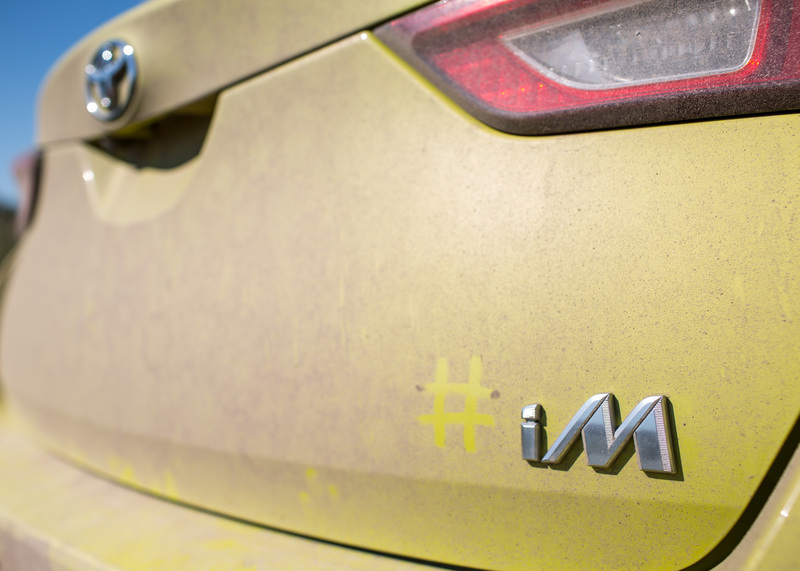 This was the team’s first appearance at Rally America’s Ojibwe Forests Rally since returning to stage rally in 2014, and only the second race event for the iM. 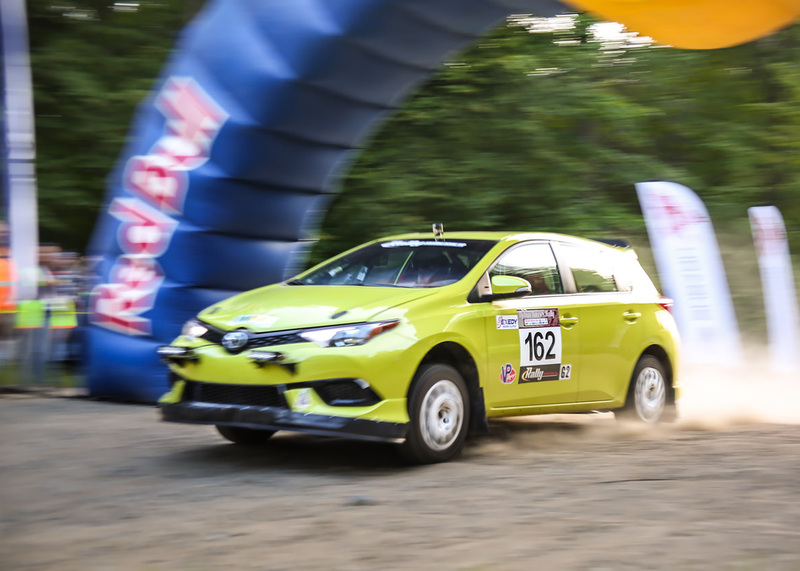 The team first ran the Spring Green iM at the Susquehannock Trail Performance Rally (STPR) in June, but that race was more of an experiment than a competition. The team, made up entirely of full-time Toyota engineers and associates, will wrap up the 2016 Rally America season this October in Houghton, Mich., at the Lake Superior Performance Rally (LSPR), alongside the Toyota Rally RAV4 of Ryan Millen.